Updates and Argentina Bucket List! 4 additional Bryant students who will be studying abroad this fall have volunteered their time to blog for this project! Their names and locations are: Sandra Moloney (Queensland, Australia); Emmanuelle Calvet (Beijing, China); Dhara Shah (Athens, Greece), and Ami Shah (Barcelona Spain). You can access their blogs by clicking the location links, or on the Bryant Study Abroad website under Announcements… Some of the girls have already gotten started and some are still busy with their summers but keep an eye out for some great blog posts coming soon from everyone! I will be interning with a “green” marketing startup company 15 hours/week for at least 3 months of the time that I am in Buenos Aires. I am really looking forward to this experience and will keep you updated on how it goes! Alright now on to the fun stuff . . . It is now less than 7 days until I leave for Argentina! 168 hours from now I will be on a plane flying over South America, anticipating the experience ahead. 5 months . . . 5. Months. Wow. In spite of all of the preparations I’ve been doing (you wouldn’t believe how many details there are to handle!) I am still finding it difficult to wrap my mind around this. I am about to leave for a country I’ve never been to, where I don’t know anyone and barely speak the language (2 years of Spanish feels like nothing in the face of full immersion). And I am going to live there for 5 months. Can you think of a more exciting adventure?? I’ve talked to a couple of people who have studied abroad in Argentina, and a few of others who have vacationed there and so far I’ve heard nothing but amazing things about the country and its people. Buenos Aires is supposed to be phenomenal; from the museums and parks to the food and the nightlife. And the countryside is said to be breathtaking; from Iguazu Falls in the north to the vineyards of Mendoza, all the way to Ushaia, the southernmost city it the world. 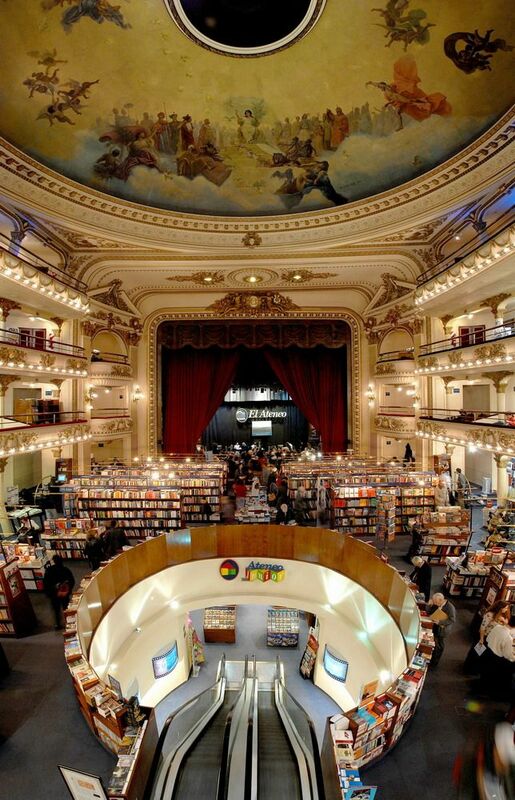 Visit El Ateneo – an incredibly beautiful old theater that was converted into a bookstore. If this is close enough to where I live I will be spending a lot of time here. Yes, I am a nerd. See the wineries of Mendoza. I’ve been told that it’s imperative that I take a bicycle tour of the wineries, which sounds hilarious and definitely makes my list. See a show at Teatro Colón. Go to a football game. Argentinians are infamously fanatical football (what we refer to as soccer in the U.S.) fans. Go to Argentina’s Oktoberfest. I’ve still never made it to the one in Munich, so I figure why wait any longer? This is just one of the many ways that Argentinians show their pride at their European roots. See an Ombú Tree. Just for the heck of it. 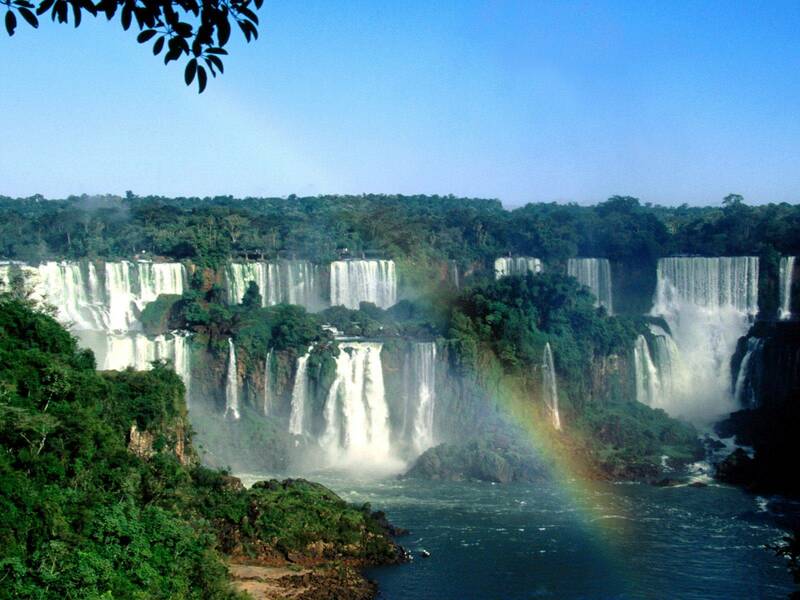 Visit Iguazu Falls. It’s like Niagara Falls, only better. See a glacier close up. Learn the Argentine Tango well enough to dance it socially. This is much easier said than done (believe me). Learn to speak Spanish fluently (fingers crossed!). That’s all of the admittedly very touristy things I’ve come up with so far! I am looking forward to learning about some of the more hidden treasures once I arrive. 🙂 Check back often for updates!